2001 Nordberg LT1213,Track Impactor with 42"x12' VGF with 5' grizzly section. 36" crossbelt magnet. 46" underconveyor. CAT engine. $50K spent on new Metso electronics last year. Overall machine condition is fair. 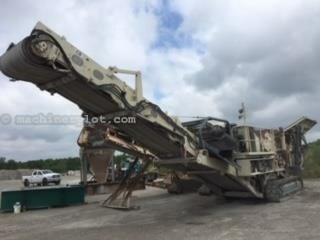 Say you saw this 2001 Nordberg LT1213 On MachineryLot.com!